With all of the speculation about how the global economic crisis might affect Harvard's expansion in Allston, it is worth considering some observations made by the Project for Pubic Spaces. PPS is a consulting firm hired by Harvard to identify placemaking opportunities at Barry's Corner that works around the world "helping people turn their public spaces into vital community places, with programs, uses, and people-friendly settings that build local value and serve community needs." According to a story in last week's NY Times, it is the credit crunch, an inability to borrow money, that is bringing many major construction projects to a halt. But even without going anywhere near the billions in its endowment, AAA-rated Harvard has no problem raising money and has raised billions of dollars by selling bonds at interest rates between 3 and 6 percent. Harvard has the money (or can borrow it at pretty attractive rates). Harvard has plenty of land in Allston and Brighton waiting to be put to better use. And according to PPS, "placemaking generates a big return on investment"
"Paying attention to the simple principles of Placemaking can leverage millions of private dollars in return at the same time as sparking retail vitality and attracting new residents and business." "transformed 12 acres of underused green space and parking lots near the convention center into an urban oasis...A new restaurant built right in the park, The Grove, is doing far better than its preliminary estimates...Widespread worries that people would not come to the park, which is located in what was until now an out-of-the-way part of downtown, have disappeared." "a 1.6 acre concrete island that sat unused in a sea of auto traffic... melting widespread cynicism that downtown Detroit was a lost cause. Since it opened, 2.24 million square feet of new or renovated retail and office space has opened or is under construction on lots fronting Campus Martius. More than $450 million in new investments has already gone into the area, with other multimillion dollar projects still underway. Ground floor retail space has greatly increased and approximately 300 new condos and apartments are planned." So improving Barry's Corner, western portions of Western Ave, and the Holton St Corridor shouldn't cost Harvard anything. To the contrary, if PPS can be believed, Harvard should be able to make a nice return on its investment, help the Boston economy, make Allston more attractive to the Harvard people who will work in the Science Complex a few years from now, and be a good neighbor to its Allston/Brighton neighbors who look forward to the "urban village" envisioned and endorsed by Harvard in the North Allston Strategic Framework. Sunday's Globe profiles local historian Bill Marchione "He's a keen observer of doings around the neighborhood" and his new book "Boston Miscellany: An Essential History of the Hub"
"hard-working people in danger of losing their livelihoods and homes, venal bankers, greedy developers, the overstuffed rich turning up their noses at the less fortunate." But the problem with my analogy is that the concept of "taking it with you" (after you die) is immaterial for immortal Harvard whose time horizons span centuries. A decade or two (or three) of barren Allston/Brighton property is significant in our lives but probably barely will register in their archaeological record. EveryBlock is a handy website that aggregates information about neighborhoods in Boston and other cities. It gives a nice single-page view of recent business reviews, news reports, building permits issued, restaurant inspections, real estate listings and more. A nice map feature lets you find items based on specific locations. There's no original content but it is a convenient place to see information from a variety of other sources. The NY Time's film critic A. O. Scott wrote recently that when "slipping an old favorite into the DVD player, I’ve been confronted with a disconcerting jolt of reality. Those silvery images don’t seem to belong to the past, but to the scary here and now." Scott was "stopped in his tracks" when watching the bank run scene in the Frank Capra classic It's a Wonderful Life that stars Jimmy Stewart and Lionel Barrymore. My similar reaction of a time-warped deja vu came from watching You Can't Take it With You a film based on a Pultizer-winning play which coincidentally also stars Stewart and Barrymore and was directed by Capra. The movie begins with Anthony P. Kirby, a ruthless banker, standing in front of a map reviewing the remaining properties that he must purchase to create "the largest individual monopoly in the world." His colleagues worry that the government might scuttle their plan, but Kirby reassures them that "They'll be no interference from the powers that be." A clear contrast is drawn between the business moguls whose actions destroy community and the utopian home of Grandpa Vanderhof where community flourishes. "Maybe it'll stop you trying to be so desperate about making more money than you can ever use? You can't take it with you, Mr. Kirby. So what good is it? As near as I can see, the only thing you can take with you is the love of your friends." In the predictable Hollywood ending, Mr. Kirby turns out to be "a very good egg" and cheerful harmonica player and everyone lives happily ever after. Thanks to Herb Gleason, past corporation counsel for the City of Boston, for commenting on what Harvard and the BRA are doing, and not doing, in Allston at a recent Move Massachusetts meeting. And thanks to former Globe reporter Tom Palmer for mentioning Herb's comments in his column at McDermottVentures.com. Gleason also had a little advice for the BRA, including telling Harvard University "to do some decent planning about Allston." "What has happened to Allston is a shame," he said. 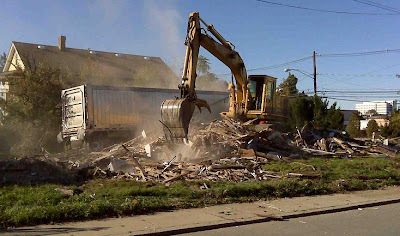 "It's a wreck, a neighborhood that has been blasted," because it, like City Hall, is considered to be in an "interim" stage. All attention goes to planning for the future, and the existing residents get forgotten. The end of the year is traditionally when non-profit organizations send fund-raising requests and people more about making contributions. This year as budgets are squeezed I'm sure that many worthy organizations will need our support more than ever to continue their efforts in 2009 and beyond. The IRS online search tool finds an impressively long list of organizations eligible to receive tax-deductible charitable contributions that are based in Allston and Brighton. In the spirit of shopping locally, donating locally is another way to support our community. There are too many for me to add links to all their websites, so I only did the ones that start with "A" whose websites were easy to find. To learn more, consider services like GuideStar where tax returns and other information can be found. 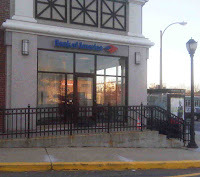 Addiction Treatment Center of New England Inc.
Allston Brighton Youth Hockey Inc.
Allston Village Main Streets Inc.
Allston-Brighton Area Planning Action Council Inc.
American Buddhist Shim Gum Do Assoc Inc.
American Friends of Ohr Moshe Torat Moshe Inc.
Archives for Historical Documentation Inc.
B Haynes Consultants Services Inc.
Bnai Brith Housing New England Inc.
Bnai Brith I & II Inc.
Brighton Marine Health Center Inc.
Caritas Christi Diagnostic Support Services Inc.
Center for Psychology and Social Change Inc. Coalition of Irish Immigration Centers Inc.
Conservation Food and Health Foundation Inc.
Conservatory Lab Charter School Foundation Inc.
Developmental Evaluation and Adjustment Facilities Inc.
Family and Community Solutions Inc.
Five Star Third World & US Assist Inc.
Foundation for Managing Inflammatory Bowel Disease Inc.
Friends of Jewish Community Housing for the Elderly Inc.
Friends of the Allston Library Inc.
Friends of the Boston Area Retired & Senior Volunteer Program Inc.
G Greene Construction Company Foundation Inc. Gin Te Buddhist Center Inc.
Great Blue Hills Music Inc. Greater Boston Youth Hockey League Inc. I Love Music Foundation Inc.
Jackson Mann Community School Council Inc.
Jewish Community Housing for the Elderly II Inc.
Jewish Community Housing for the Elderly III Inc.
Jewish Community Housing for the Elderly Inc.
Jewish Community Housing for the Elderly IV Inc.
Jewish Community Housing for the Elderly VI Inc.
Joseph M Smith Community Health Center Inc.
Kollel of Greater Boston Inc. Listen to the Lion Music Inc.
Lubavitch Shul of Brighton Inc.
Massachusetts Association for the Education of Young Children Inc.
Massachusetts Club of Russian Speaking Scientists Inc. Mental Illness Education Project Inc.
Merwin Memorial Free Clinic for Animals Inc.
Mesivta of Greater Boston Inc.
National Tay Sachs & Allied Diseases Association Inc.
New England Leather Alliance Inc.
New Life Center Fund Inc.
New Life Fellowship Baptist Church Inc.
Russian Community Association of Massachusetts Inc.
St. Columbkille Alumni Association Inc. The Center for Cinematography and Social Awareness Inc.
West End House Camp Inc.
Women in Film & Video-New England Chapter Inc.
World Shim Gum Do Association Inc.
My friend and neighbor Brent has started a new Allston blog - views from allston mass. If you are interested in this community and its future I'm sure you will be interested in what he writes there. Students in the Landscape Architecture program at the Boston Architectural College spent time during the past semester studying the grounds of the Gardner school and thinking about how different design of landscaping and play areas could make a better environment for learning and play. You can read more about their work and ideas at http://la203-weblandscape.blogspot.com/. As reported last week in the Herald, New Balance is considering construction of an office complex on the site of the former Barry Controls building between Guest Street and the Mass Pike. 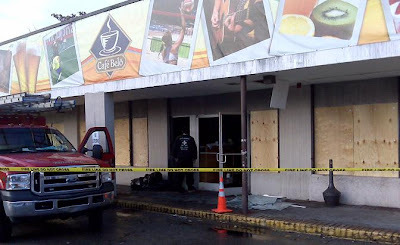 This is the same site considered for a Lowe's home improvement store which failed because of neighbor concerns about traffic and other issues. The several reader comments on the Herald site focus on a desire for the creation of new construction jobs and the impact on Murdock Street traffic. 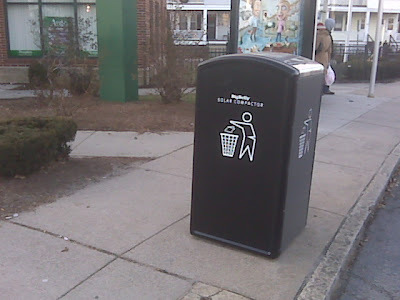 Anything that helps keep our neighborhood cleaner is a good thing, so it is nice to see the new Big Belly solar-powered trash-compacting trash cans on North Harvard St. There is always a wide variety of functional and whimsical ceramics on sale at this twice-yearly show at the Harvard Ceramics Studio (219 Western Ave). Prices are also very reasonable. Worth stopping by if you have a few minutes to experience one of Harvard's hidden jewels in our neighborhood. More info about the show is here and information about spring term ceramics classes open to the public are here. I believe that this is the first time Harvard has confirmed a slowdown in its Allston development. Until now we have only been told that plans are being reconsidered. 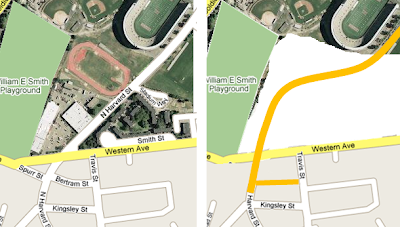 If new dormitories ("houses") will not be built north of the stadium (shown in yellow) then there would seem to be no need to demolish the existing athletic facilities on that land and rebuild them to the south of the stadium (shown in green). “I’m sure that what we thought we might do in the next decade is going to take longer,” Faust said, adding that since her Nov. 10 letter about the impact of the financial crisis on Harvard, the University has been assessing a number of its plans. Harvard should invest in upgrading existing spaces and in building new, innovative arts spaces. A proposal this ambitious would, given the tight space constraints within which we all function, ordinarily seem a mere fantasy. But here too Harvard has a remarkable opportunity. Serendipitously, the university has the chance to provide its students with the spaces they require both for their exuberant extracurricular arts activities and for the rigorous, challenging, and vitally necessary art-making within the curriculum.The future development of the Allston campus makes it possible to bring into being precisely the architecturally exciting structures that will enable the innovations for which we are calling. And it will be a site of lively engagement with the immediate community of Allston and Cambridge and the larger community of Greater Boston: public exhibitions and performances of all kinds, art classes, the free screening of movies, after-school programs, events created in conjunction with our neighboring institutions. the development of the Allston part of Harvard’s campus also offers an opportunity to include studio space and housing for artists; such deliberations ought to be considered in the current planning efforts. The Task Force has envisioned spaces for the arts in Allston that will provide venues for art-making, display, and performance, spaces which may incorporate museums (including contemporary arts galleries), classrooms, student galleries, performance spaces, a theater for film and video screenings, studio spaces, rehearsal spaces, and practice spaces, in addition to commercial venues (such as a café and bookstore) which will help to drive traffic through this hub. All these components are geared to making the arts in Allston a dynamic, social location which invites and spurs discussion.To this end, programming in these spaces should be strong and deep, with the arts facilities here described in use for as many hours in the day as possible.If the campus is to be suffused by the arts, then its hub must be a destination—and origin—for arts making, display, and performance—throughout the day and night. The report also is clear that there is a lot of decision-making still needed before specific facilities can be planned. This suggests that Harvard isn't yet close to knowing what art facilities to include in its Allston Institutional Master Plan. Many student groups thought an additional theater that could seat 500-750 would alleviate the scheduling pressures. Others expressed an interest in having multiple flexible smaller spaces that could be reconfigured to accommodate the appropriate audience for the event being held within. Some academic departments and visiting artists expressed their interest in a large performance space that could seat 1,600 to 2,000 people. Overall it is an exciting document that shares some common thinking with the Culture portion of Harvard's 2004 Allston Life Task Force report. I look forward to seeing the vision become reality. This funding method has always been controversial within Harvard. Now it may cease to exist. With the value of Harvard's endowments falling by billions, the source of its Allston funding is in doubt. Asked by a professor during yesterday’s meeting to comment on the status of the Strategic Infrastructure Fund—a 0.5 percent annual levy on the endowment that has traditionally funded Allston development—University President Drew G. Faust suggested that the money could be put towards other projects in present circumstances. "gathering input from Harvard students through discussion groups and surveys, are hearing from faculty, especially House masters, and will solicit input from our alumni and alumnae in the weeks and months to come"
and asking significant questions including "Should new Houses be built in Allston?" The premise that Harvard has already decided to build new houses in Allston affects multiple aspects of the Harvard master plan. Harvard planners chosen location for new houses would be north of the football stadium which requires the existing hockey arena, basketball arena, and swimming pool to be relocated to elsewhere in Allston. So if Harvard really isn't sure about building "houses" in Allston it puts a pretty big wildcard into the whole planning process. "Most of the newer boathouses, including a couple from recent years, try to project a similar upper-class image. That's why the architecture of the exuberant new Community Rowing Boathouse in Brighton is such a joy. This is a building that's happy to look fresh, new, democratic, and up-to-date, not like an attempt to remind you of the good old days when rowing was a "gentleman's sport." This is one of the best new pieces of architecture in Boston." 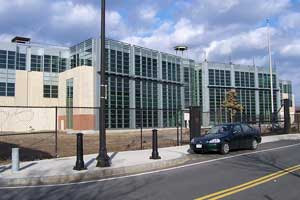 The 2008 Annual Report of The Boston Foundation features Allston's Gardner Pilot Academy and the services it provides to the benefit of its students, their families, and the community. Residents who have been involved in community planning and Harvard's expansion plans for their neighborhood noted that the survey, while interesting, was a distraction from the real question of when and how those plans would be negotiated. "Expand the limited number of neighborhood parks by creating new parks"
"Small neighborhood parks along Everett Street and elsewhere to serve the local community"
"eliminating barriers between neighborhoods and among neighborhoods and river and public parks"
"the Framework proposes a system of parks, pathways, and squares that increases the amount of land dedicated to open space and, more important, creates a broader range of quality public places to support a variety of activities.The Framework identifies opportunities for pocket parks for passive enjoyment or tot lots, providing amenities for those residential areas underserved by open space, such as the neighborhood south of the Gardner School." So now we have a Framework and a Survey that confirm each other's findings but not much of anything actually accomplished on the ground. Even in the best-case scenario, however, it will be a long time before Harvard can offer either the public or its students a display that does anything like justice to its holdings. A 1999 plan to build a pair of new art museums designed by Renzo Piano on the Charles River was strangled when Harvard's Cambridge neighbors protested. An alternative plan, trumpeted in 2006, to build new museum, storage, and administrative facilities in Allston has meanwhile been put on hold while the museum focuses on renovating its badly outdated Quincy Street premises (home to the Fogg and Busch-Reisinger museums). 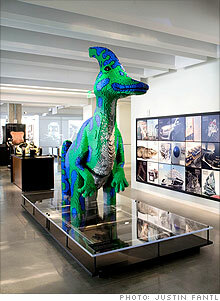 Allston is, eventually, where Lentz sees the modern and contemporary collections finding a home. But he can't say when work there will begin, let alone end, and he adds that the current global financial crisis is only adding to the uncertainty. A frequent lament of Allston/Brighton residents is that we are totally outmatched when it comes to evaluating the development plans of Harvard University, the BRA, and their consultants. The ABNNF has done pretty well with the development of its Holton St Corridor Framework that addresses the housing, open space, and retail issues in a portion of the neighborhood where new development is impending. But more comprehensive and technical review has until now been beyond our reach. At Wednesday's meeting of the Citizens' Advisory Committee (CAC) that is reviewing Harvard's expansion as part of the Massachusetts Environmental Policy Act office (MEPA), we met consultants from Tighe & Bond who have been hired to support the CAC's review of Harvard's Master Plan and assist the CAC in developing alternatives and proposing mitigation measures. There are many ways that Harvard's expansion will likely be good for the environment, such as replacing impervious paved surfaces with surfaces that allow rainwater to move into the ground. But the transportation impacts and the related environmental effects of the expansion need close scrutiny. If Harvard's North Allston expansion is really going to bring an additional 15,000 people a day to its campus, even if only 50% of those people drive to work, that is a lot of new traffic! (And that doesn't include the thousands of new residents and workers that will come to North Allston and North Brighton when/if the plans for the rest of the neighborhood become a reality.) It won't be easy for Harvard to get down to 50% automobile mode share, considering that 72% of its Allston employees currently commute by car. And if thousands of people are going to come to Allston using public transportation there need to be some pretty big improvements there too. And then there are the brave folks like me who ride a bike in the city. Having hundreds of people bike to work in Allston each day would be wonderful, but it is going to take some serious improvements to make that safe and inviting. The next CAC meeting is scheduled for January 7 (6:00-8:00 at the Honan Library) and if you leave transportation comments here I will incorporate them into the CAC's discussions. Here's a story about the little town of Starksboro, Vermont (map) and its planning partnership with Middlebury College as its residents try to figure out what kind of future they want for their community. This story in today's Herald is short and its hard to infer much from a four word quote from the BRA, but of course it’s “appropriate during these economic times” for Harvard to proceed cautiously. The question is will Harvard cautiously move forward and redevelop its Allston/Brighton property in way that benefits everyone, or will Harvard prefer to cautiously sit on its hands and let so much of its property sit empty as it has been doing for years? 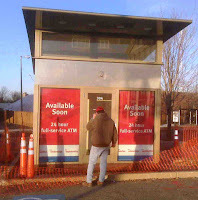 This photo was taken 20 months ago when the Barry's Corner CITGO station was closed down in preparation for its sale to Harvard. Since then it has sat empty and idle in the middle of our neighborhood. Two years ago Harvard bought the 450,000 square foot commercial property on Lincoln Street. What's happened there since then? Nothing. 20 Penniman Street - Erect a four story, thirty-two unit residential building with seventeen parking space underneath. Subdivide the parcel. 30 Penniman Street - Subdivide the parcels, confirm the legal occupancy as eight artist live/work spaces, five artist work space, and seven business uses to include Karate school, and clothing design. 28-32 Rugg Road aka 32Penniman Street - Confirm the legal occupancy of the building as a auto repair shop. Repairs for Allston-Cambridge river bridges? If these repairs actually happen it will be a great opportunity to both repair these bridges and make additional improvements to get pedestrians, bikes, and cars from one side of the river to the other in a much better fashion than the current bridges do. "When I was living in Everett-which is 5.2 miles from my building-I would take the bus, to the train and then walk from State Street. My average travel time was 25-30 minutes. Now, I live in Allston which is 4.4 miles from my building and actually a neighborhood of Boston; I take one train to work, Harvard Ave to Park Street and it takes me on average... 45-50 minutes to arrive at 73 Tremont." "We are reconsidering the scale and pace of planned capital projects, including the University's development in Allston"
Copernicus Consulting presented this Survey Report at last night's Harvard Allston Task Force meeting about the community survey conducted over the summer. There really weren't any surprises - we want our children to have better educations, better access to medical care, better parks and facilities for physical fitness, safer streets, opportunities for adults to learn English and other skills, and more. So what, if anything will come of this? These are not new needs and in the past 10 years as the BRA has watched Harvard purchase and shut down a huge part of our neighborhood, neither of them has done much to meet any of these needs. Three years ago Harvard and the BRA did acknowledge them in the North Allston Strategic Framework, but actual progress is hard to find. I'd suggest that we focus on the details of Harvard's impending IMP and what that development will do to make a better neighborhood instead of drawing our attention prematurely to some "goodies" that may or may not ever materialize. Today's edition of The Harvard Crimson includes an op-ed I wrote about the opportunities for people from a wide range of fields at Harvard to play a role in its Allston expansion.